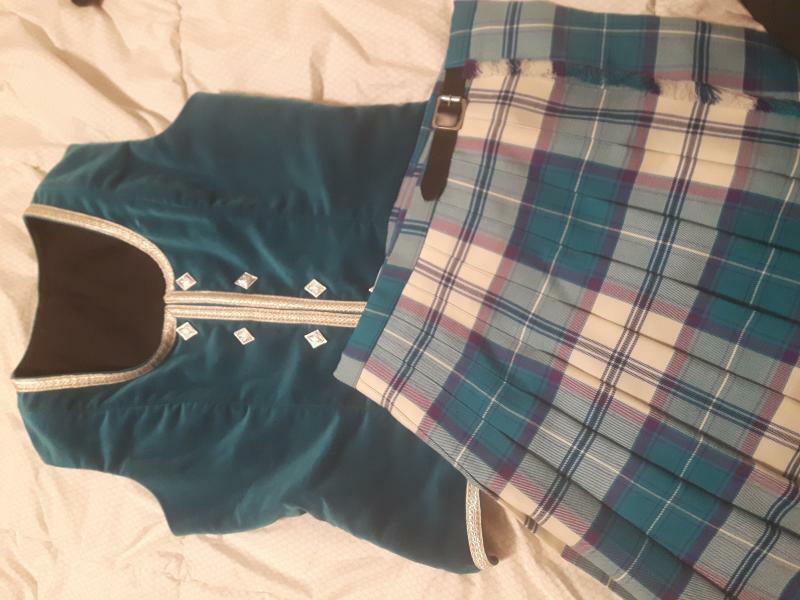 dance.net - Child's kiltie outfit (10248188) - Read article: Ballet, Jazz, Modern, Hip Hop, Tap, Irish, Disco, Twirling, Cheer: Photos, Chat, Games, Jobs, Events! Worn for 1 dance season. Custom made by Marg's highland for stocky beginner dancer. Tourquoise crieff plaid. 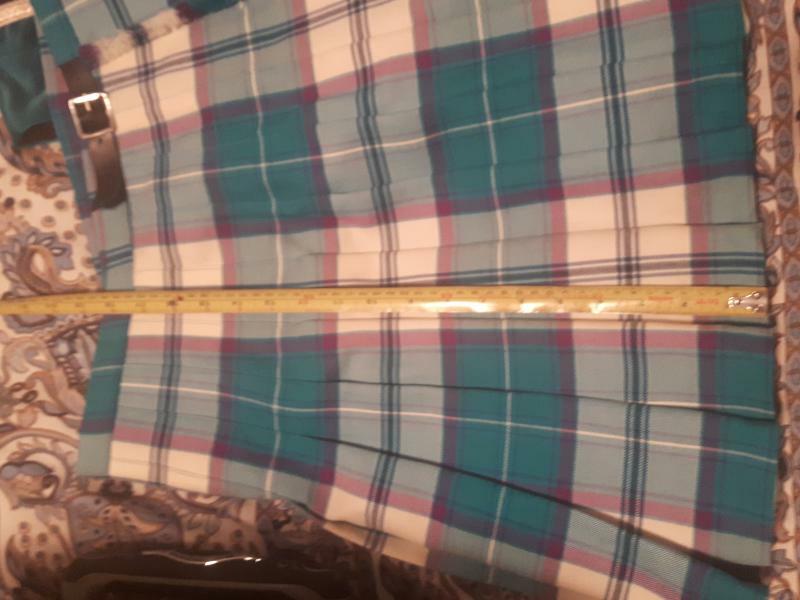 30" waist, 34" bust. $250 plus postage CDN. So sorry. Only seeing this today . 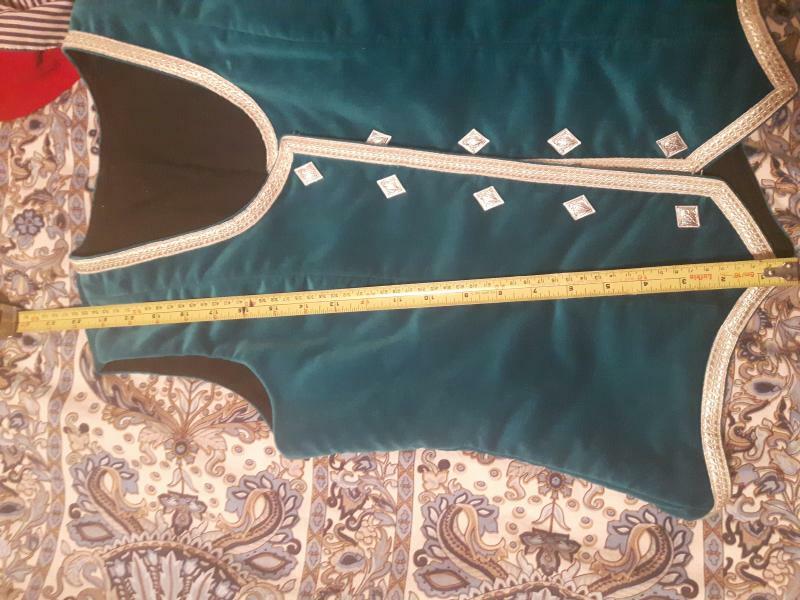 length on vest from nape to point is 21 inches. The kiltie is 18 (maybe a smidge more). I've let it down as far as it goes. Happy belated Christmas!